Rough and tumble, and ready for anything. 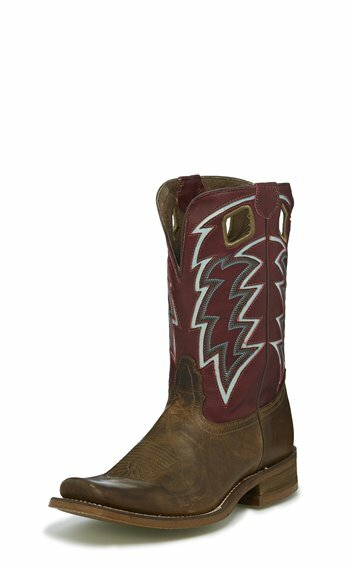 The 11" Volcano boot in Tan Vintage from our Hero Collection features a Wine upper emblazoned with bold lightning bolt stitching and a distressed tan foot. A cushion insole ensures comfort, and the hardworking rubber outsole provides durable flexibility. Featuring a 1 1/8" tapered heel.